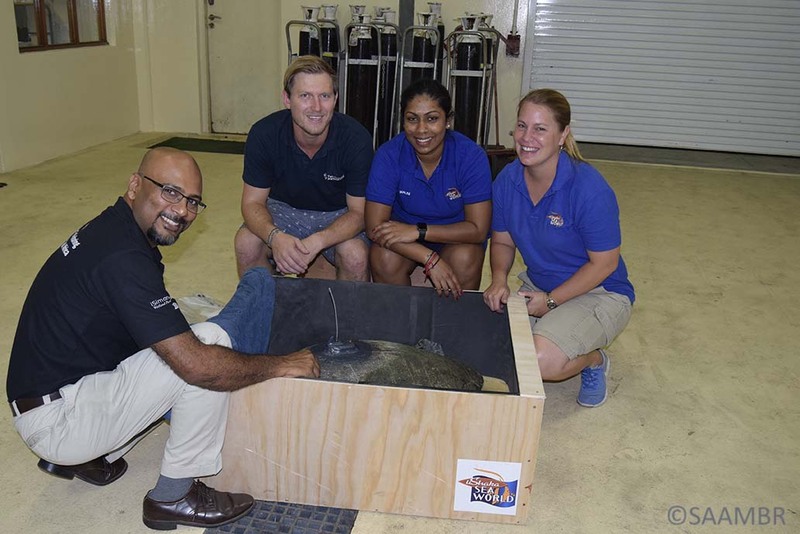 Joint efforts by Two Oceans Aquarium and uShaka Sea World ensure rehabilitation and release of Olive Ridley Turtle. 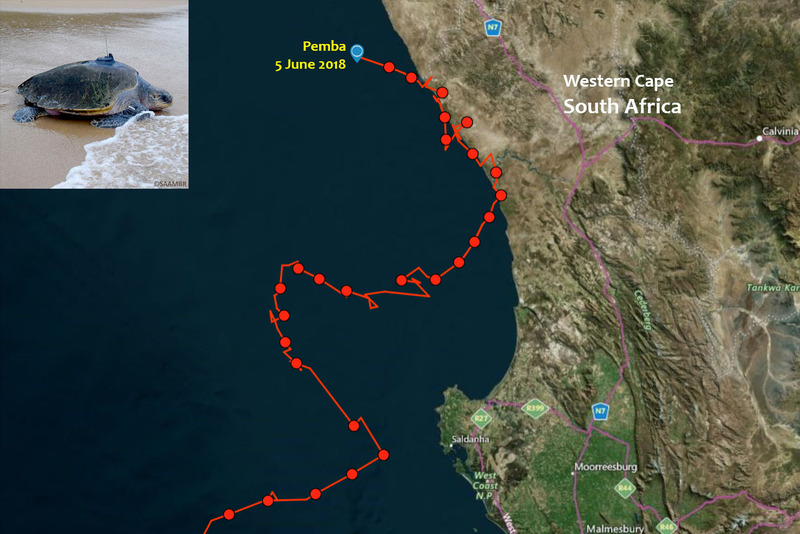 After four years of rehabilitation, Pemba, an adult Olive Ridley turtle (Lepidochelys olivacae) that was found floating in Table Bay Harbour in December 2014, has been released within the iSimangaliso Wetland Park. 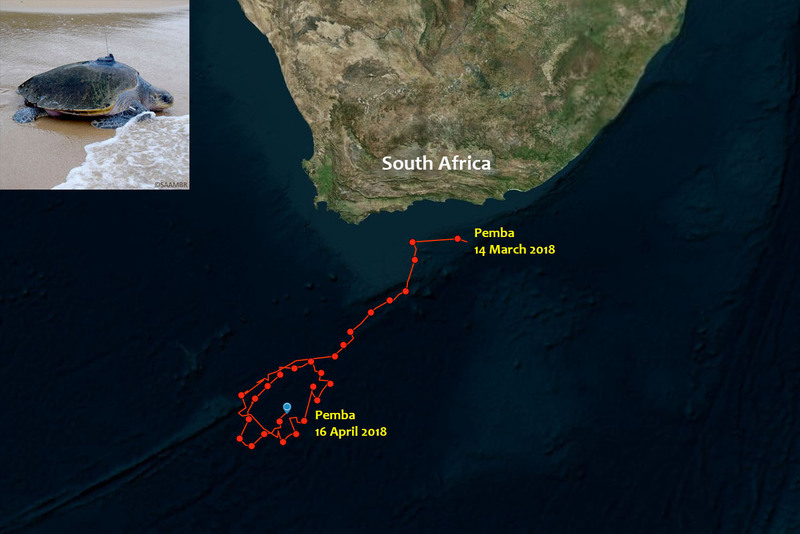 Pemba’s rehabilitation and release was made possible through the joint efforts of the Two Oceans Aquarium (Cape Town) and uShaka Sea World (Durban). 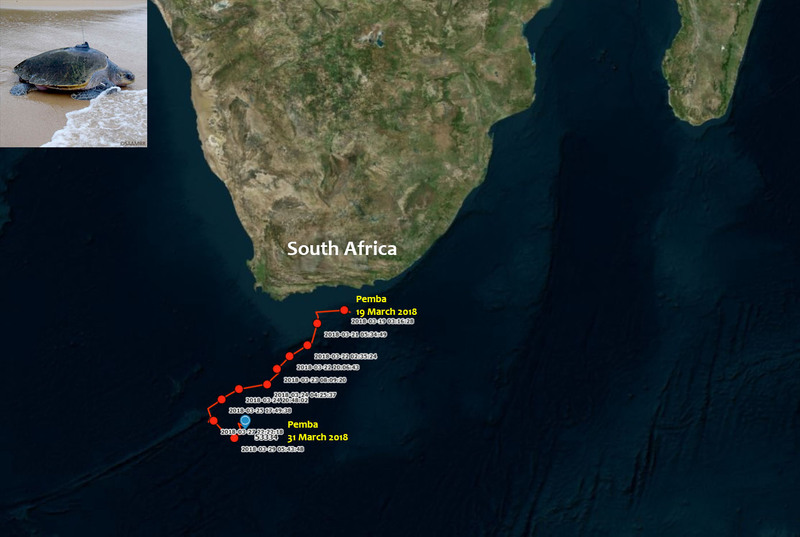 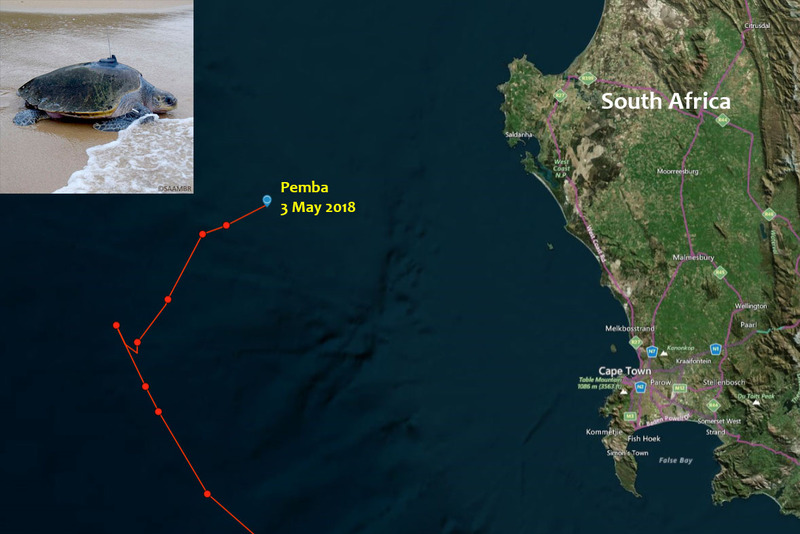 Pemba was admitted to the Two Oceans Aquarium turtle rehabilitation and release programme after a boat-based tour operator found her floating in Table Bay Harbour. 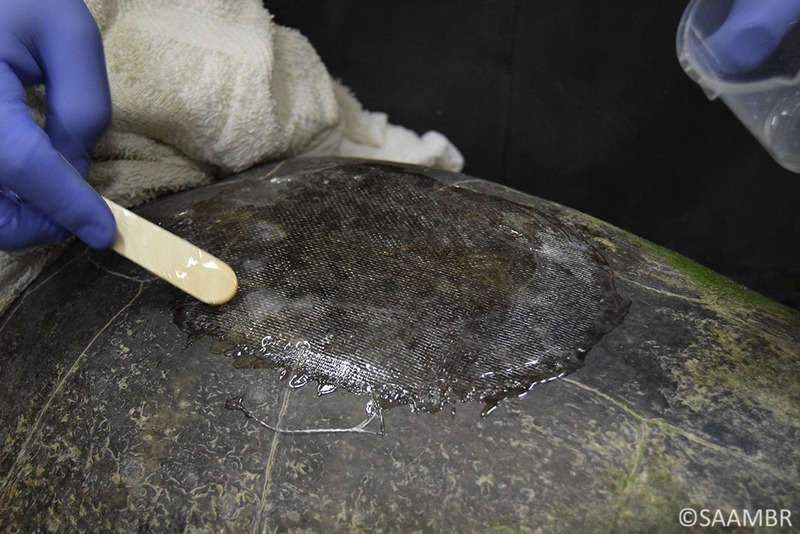 Initial examination showed a fracture on the side of her carapace (shell), presumably from a boat propeller strike. 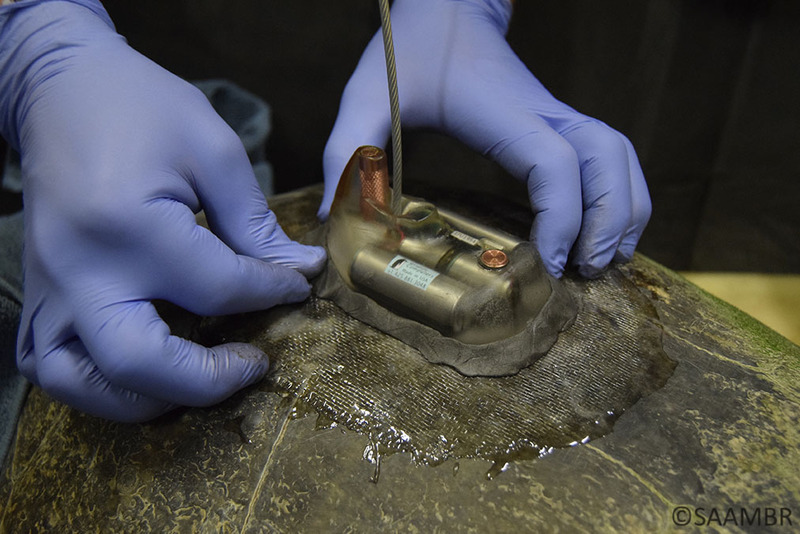 Surgery was performed and the fracture was wired together. 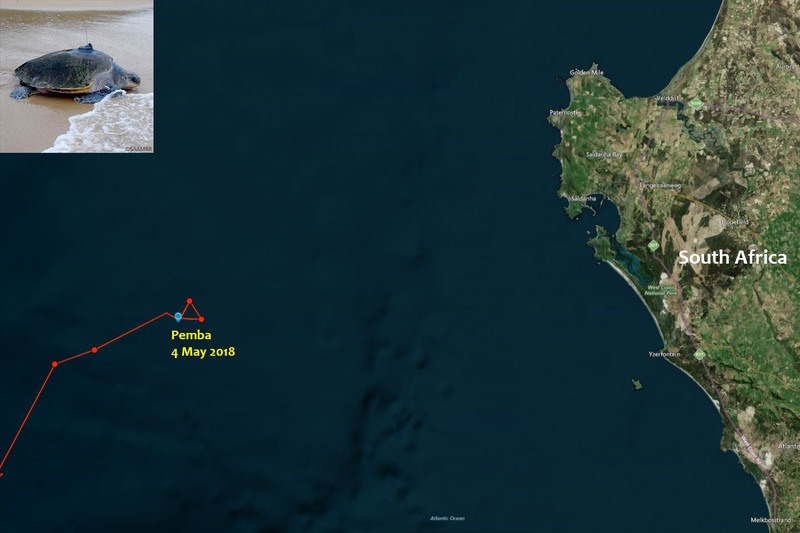 The fracture healed within a couple of months. 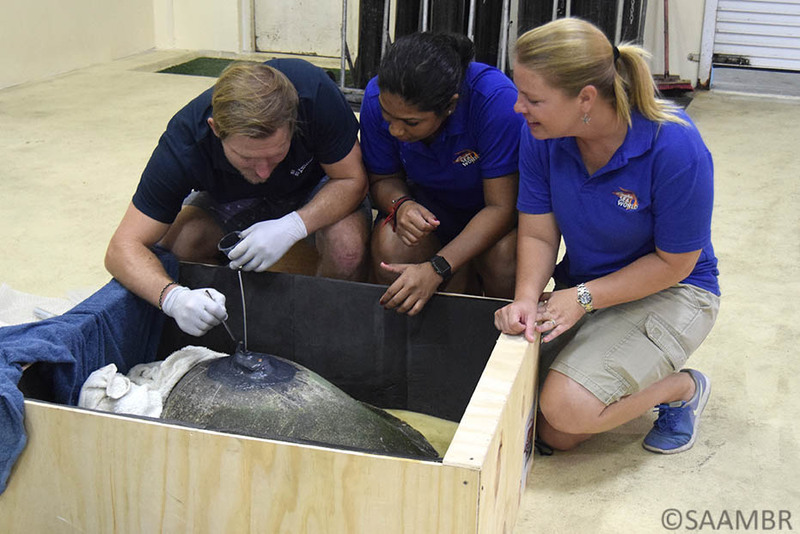 The turtle was under constant veterinary supervision and was treated with antibiotics for the fracture to her shell as well as a suspected lung tear. 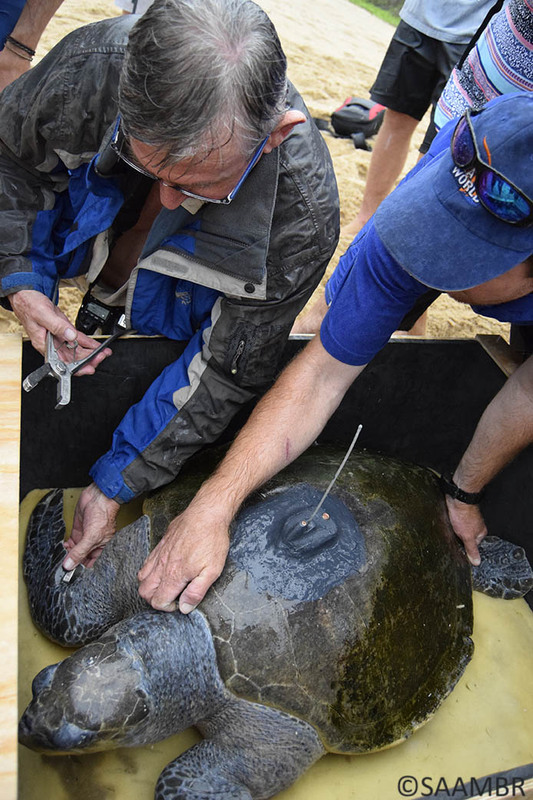 Numerous attempts at removing large volumes of air from the turtle’s coelomic cavity proved unsuccessful. 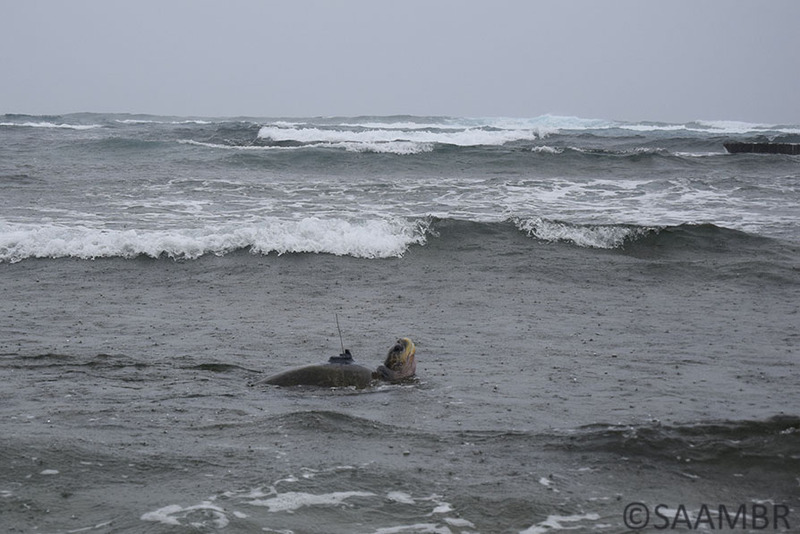 The trapped air caused her to be positively buoyant and she could therefore not dive down as a healthy turtle would to find food. 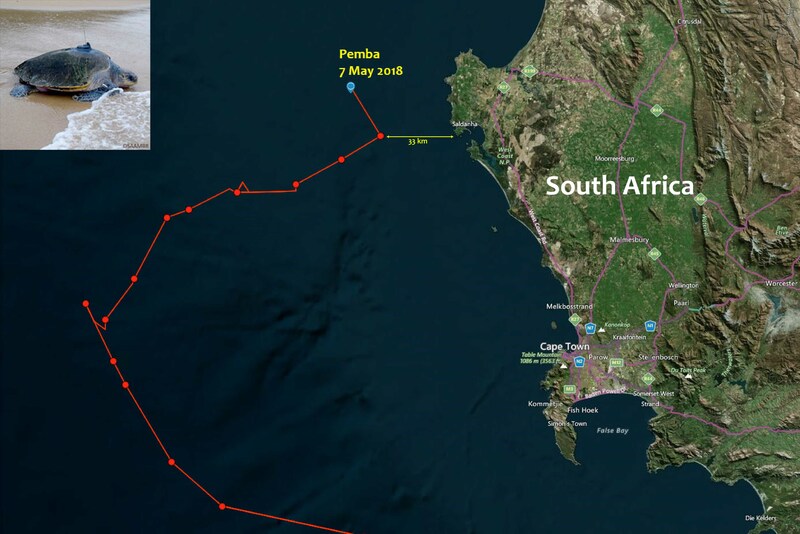 Treatment continued at the Two Oceans Aquarium until September 2016, when the decision was made to move Pemba to uShaka Sea World in Durban for further treatment and future release. 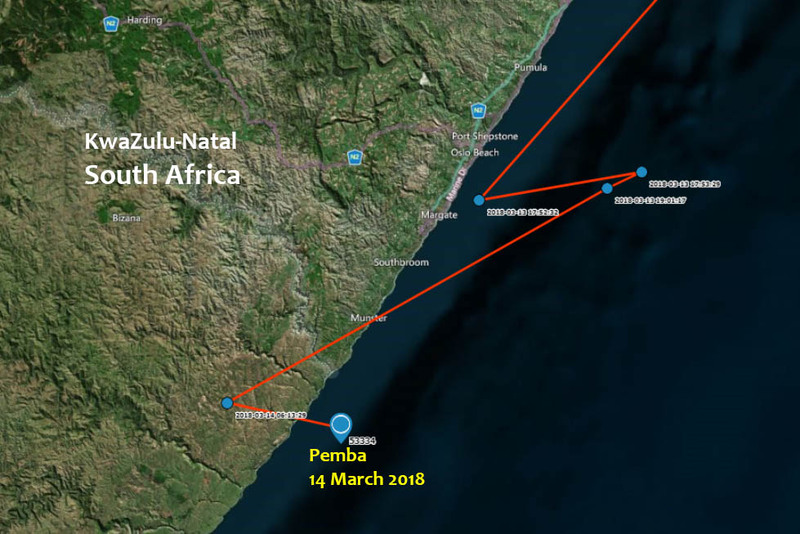 Pemba was transferred to Durban via a private aircraft made available by the Bateleurs, a non-profit that assists with the transportation of threatened animals across southern Africa. 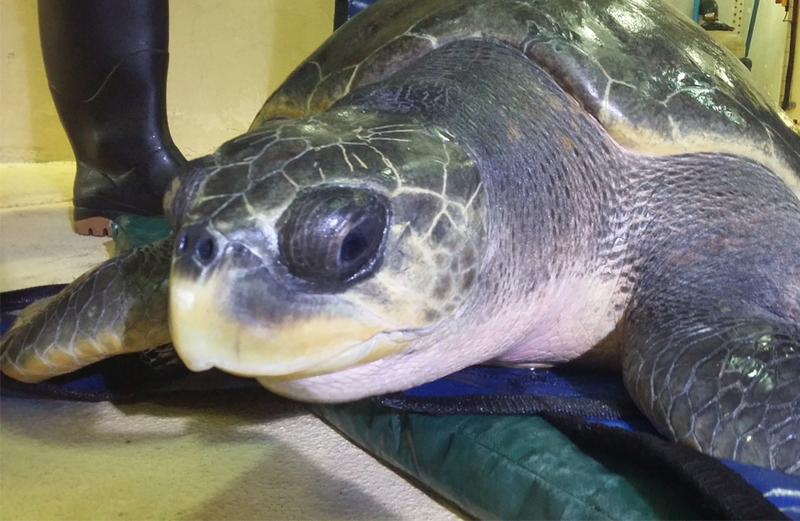 The dedicated staff at uShaka Sea World spent the next 16 months working with Pemba who still had buoyancy and lung issues. 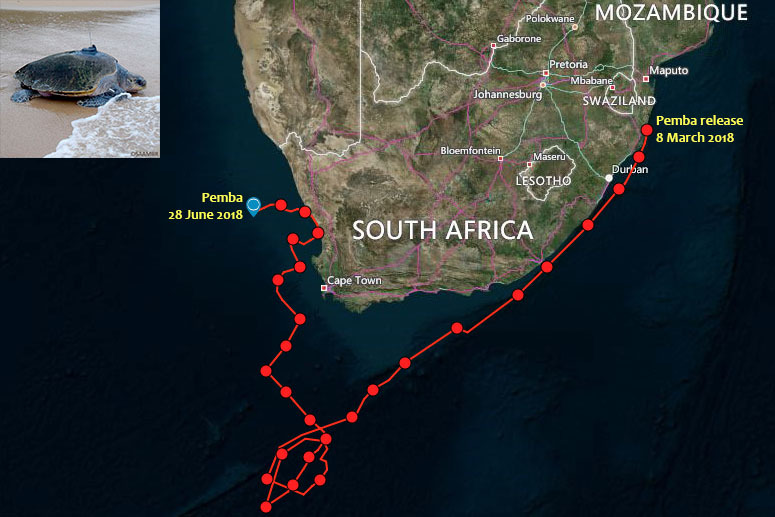 Slowly but surely her diving abilities began to increase. 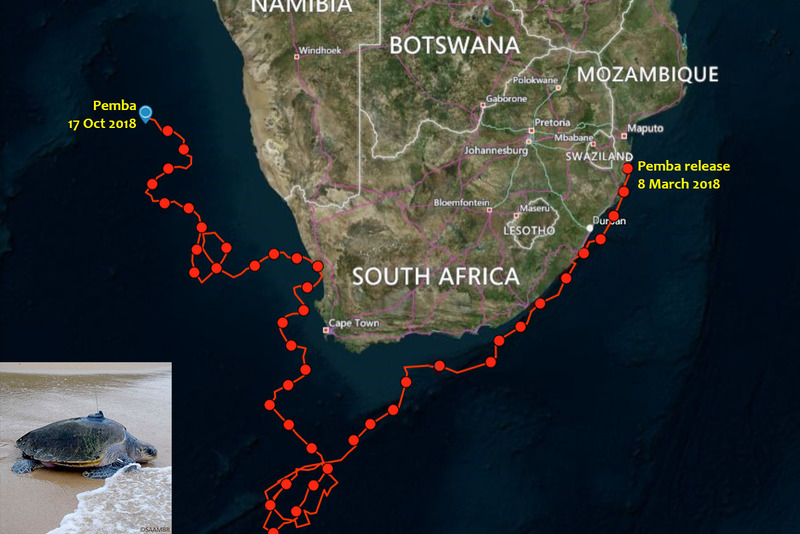 Olive Ridley turtles feed mainly on crustaceans and she could therefore not be released until she could dive deep enough to find food. 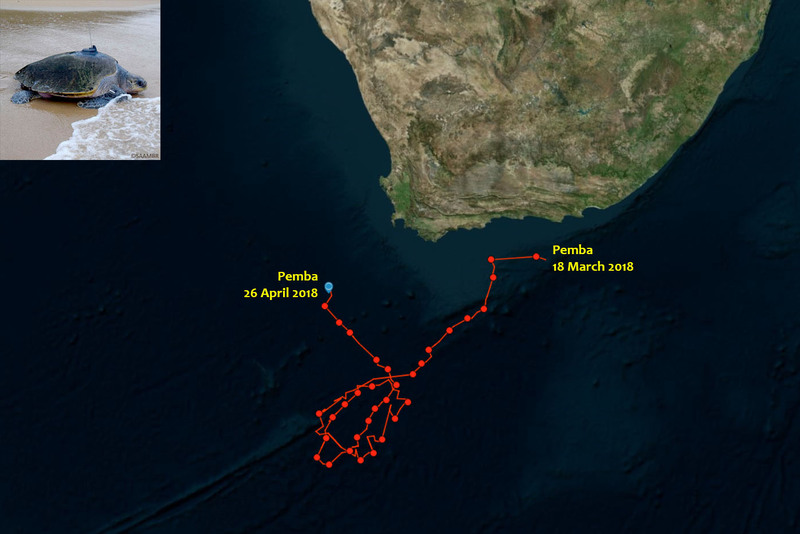 Once Pemba had regained her ability to dive, there was no looking back and the team began to plan her release. 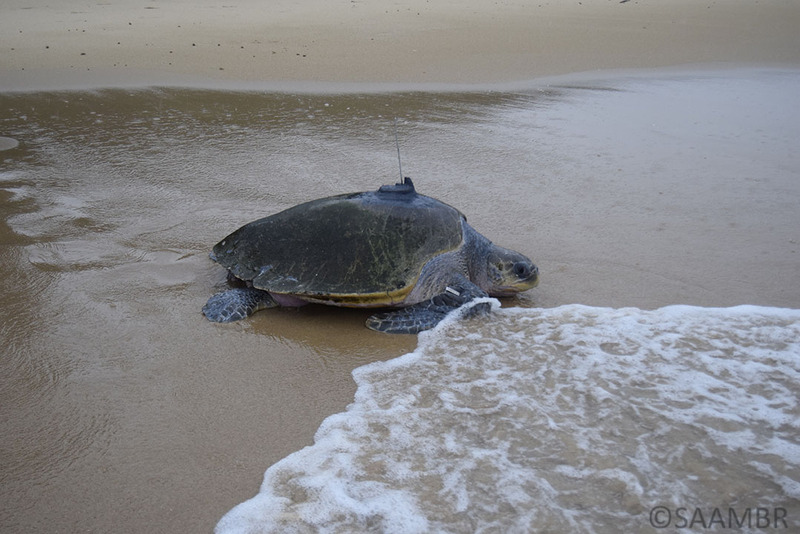 Pemba was fitted with a satellite tag which was attached to her carapace before being released. 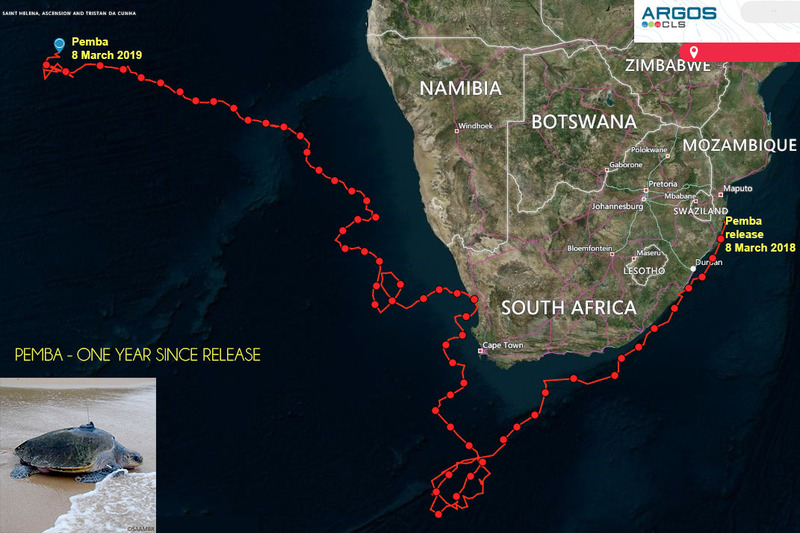 This satellite tag will allow scientists to track where she goes from GPS co-ordinates transmitted from the tag. 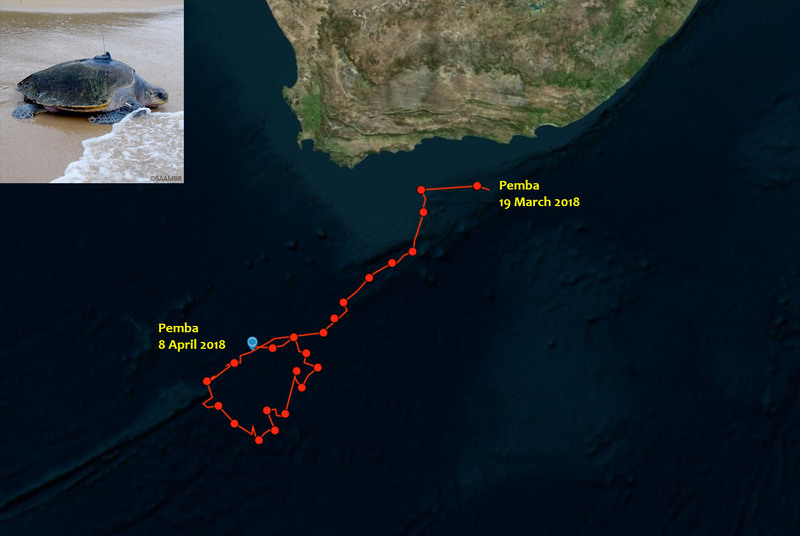 Regular updates on Pemba’s progress will be posted on this page. 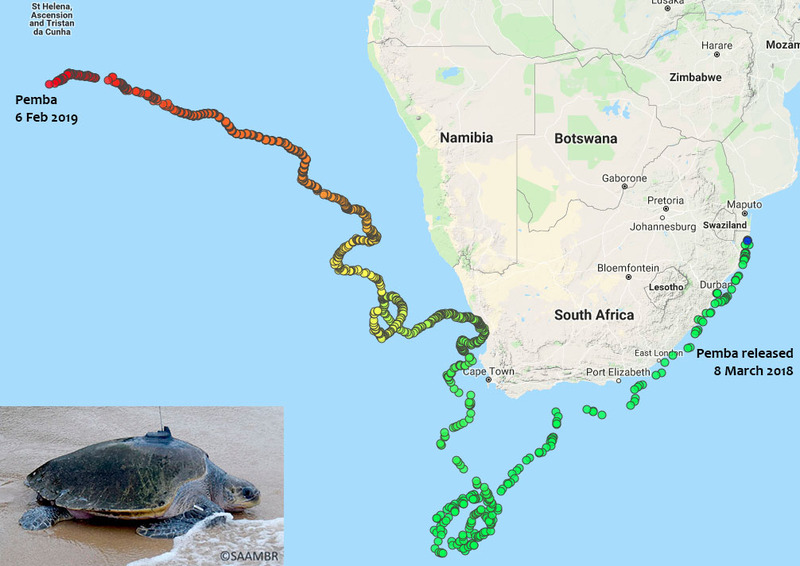 Olive Ridley turtles are uncommon along the beaches of KwaZulu-Natal and, unlike the loggerhead and leatherback turtles, they do not nest on local beaches. 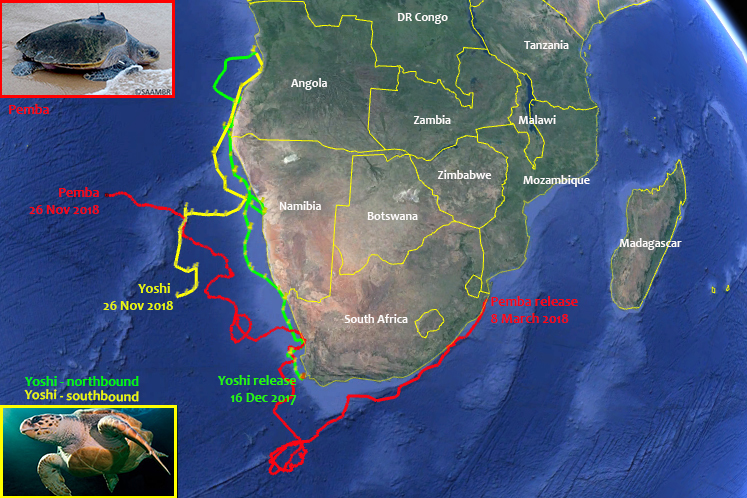 Small populations of this species of turtle are found off northern Mozambique, Tanzania and north-west Madagascar. 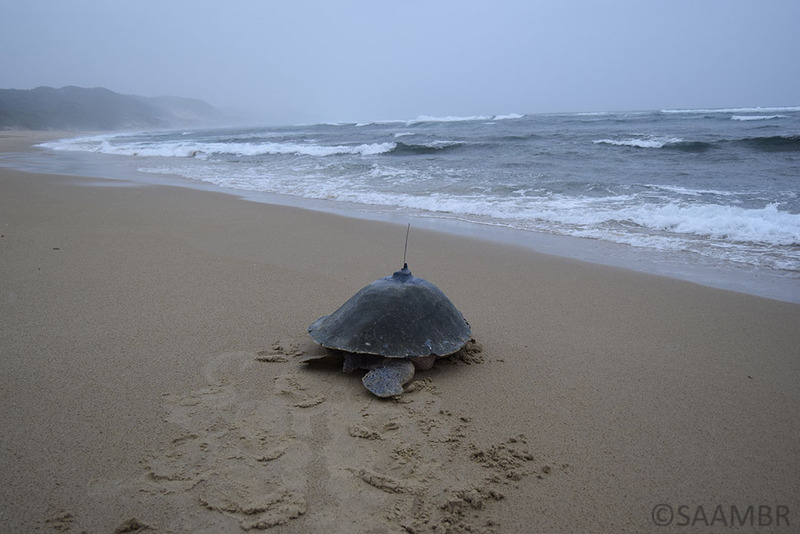 Within the iSimangaliso Wetland Park (KZN) are numerous inshore and offshore reefs that are considered ideal turtle release sites as they boast abundant foraging grounds with minimal human impact. 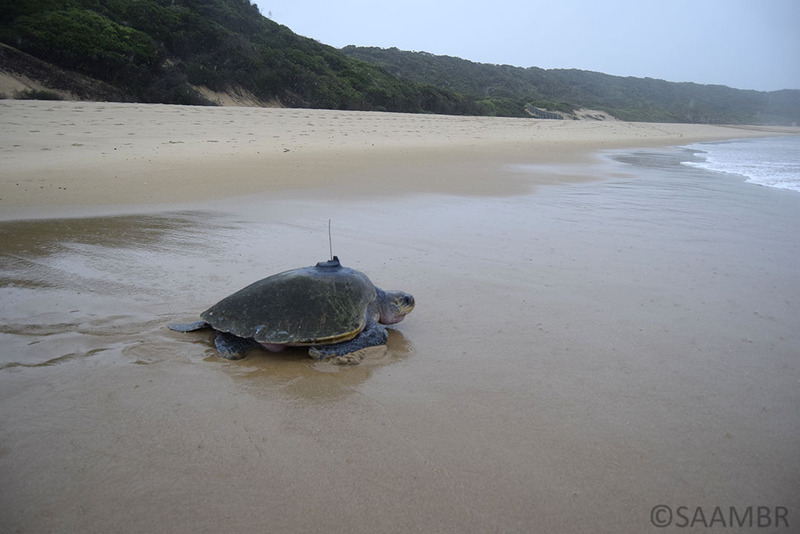 Mbibi was chosen as the release site because of its location within the iSimangaliso Wetland Park. 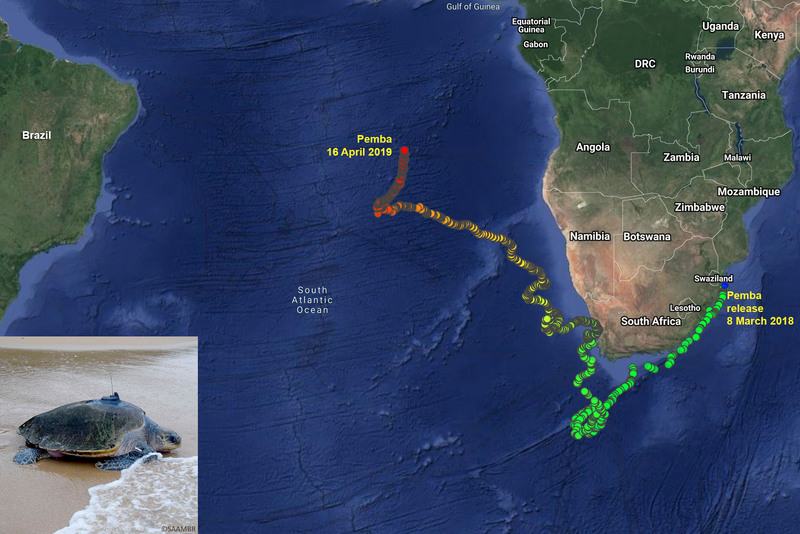 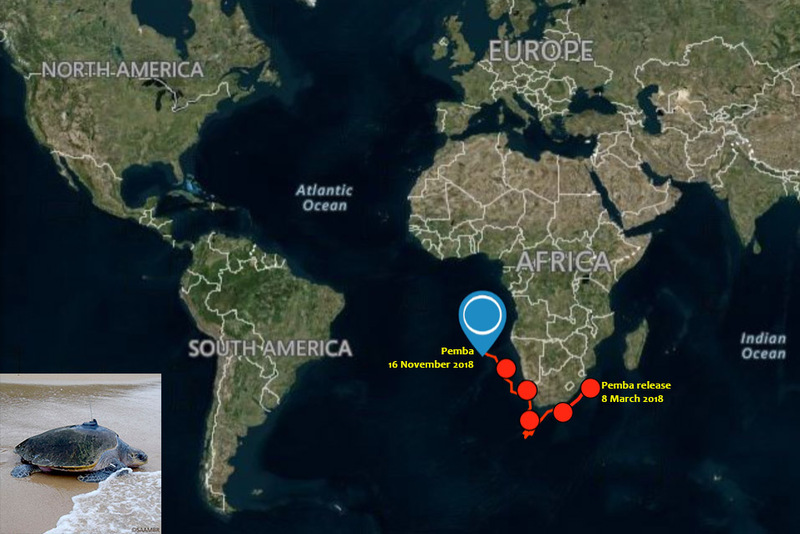 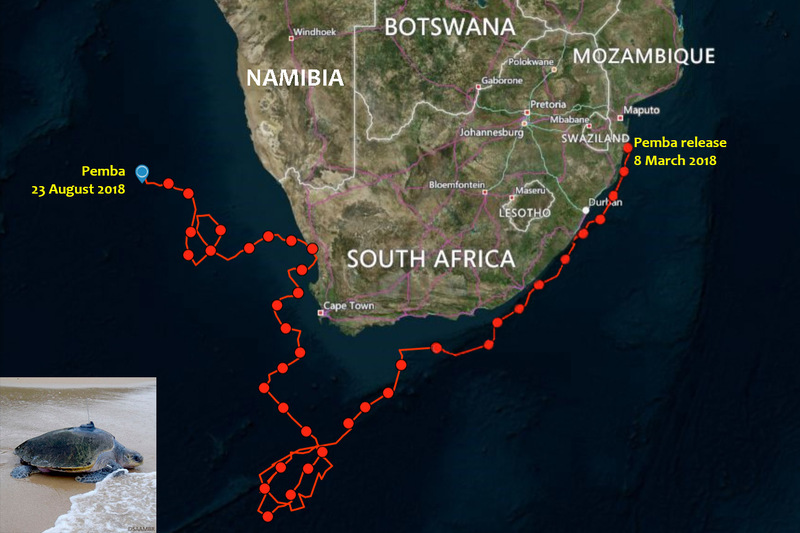 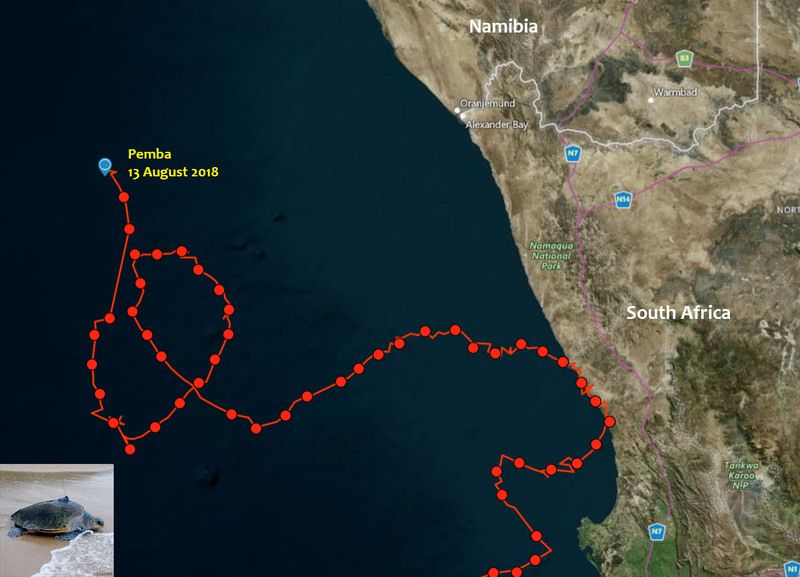 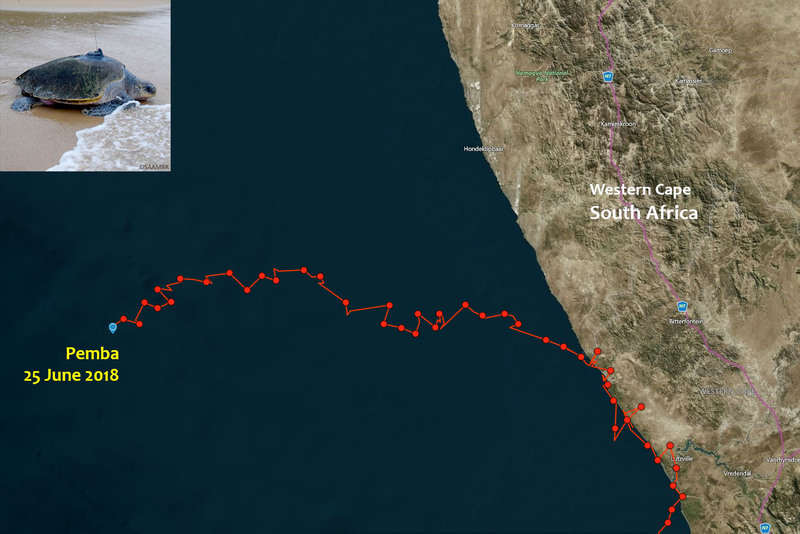 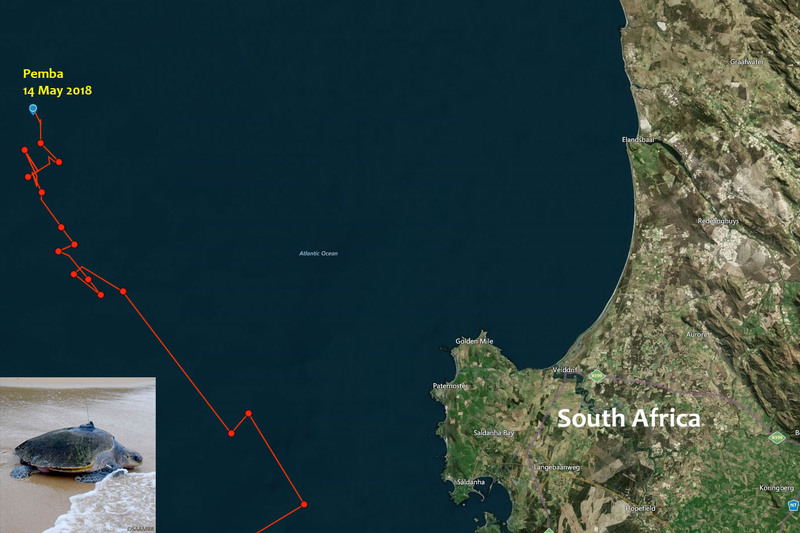 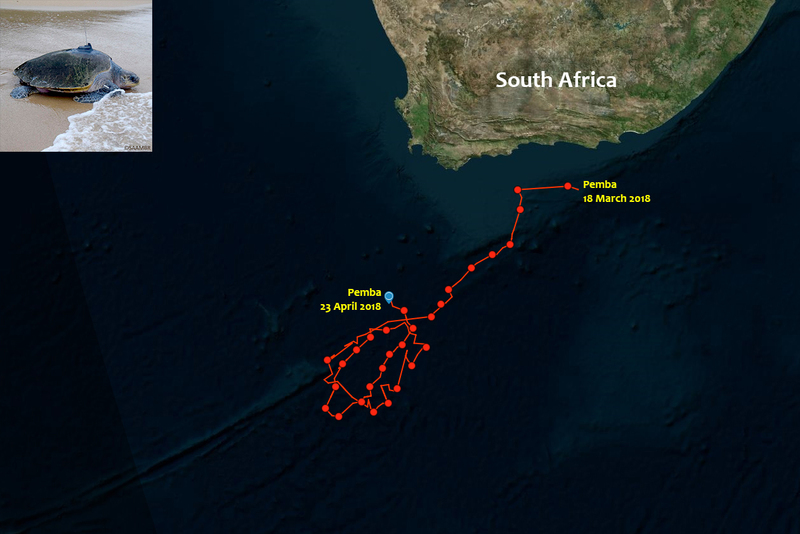 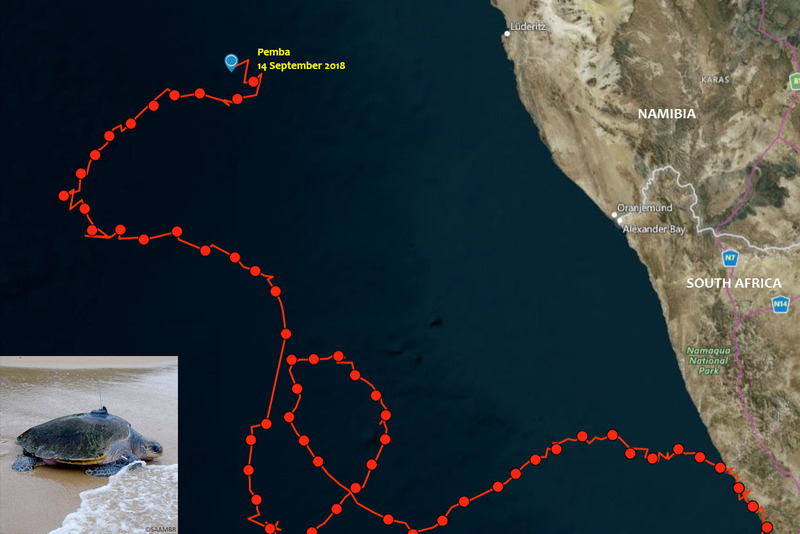 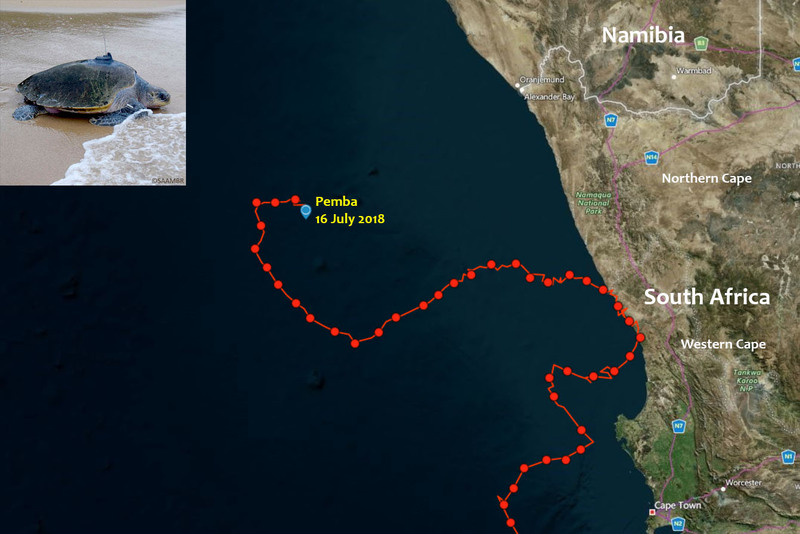 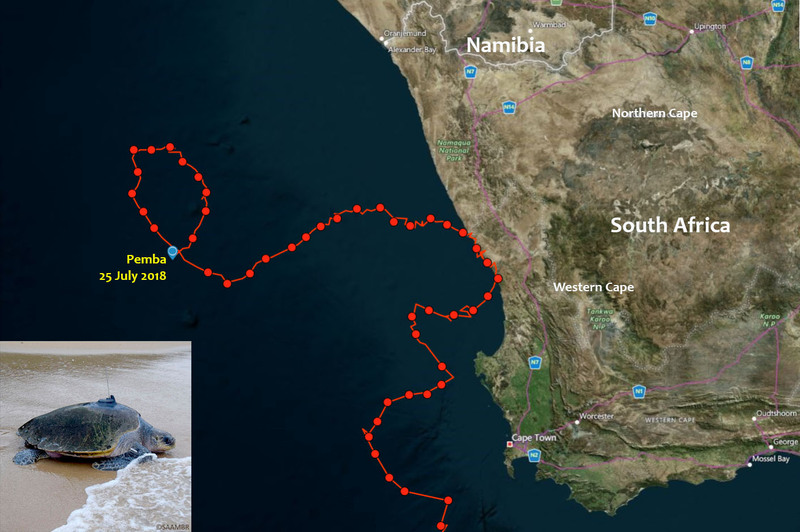 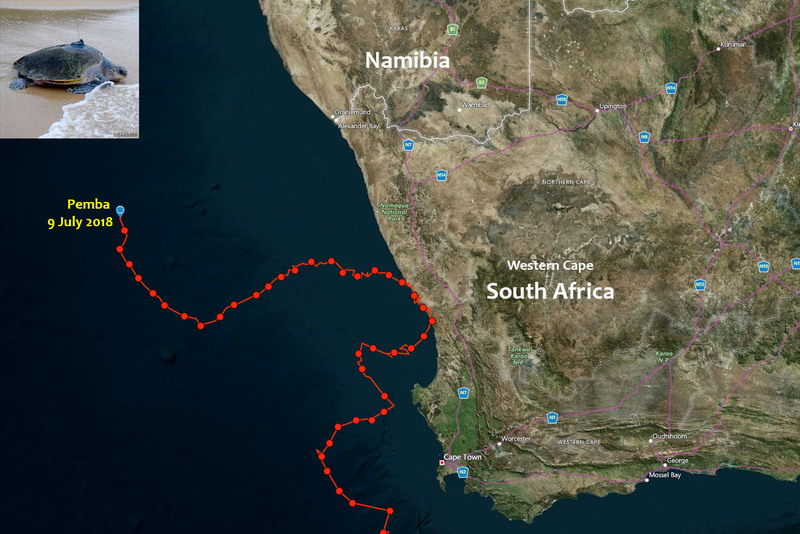 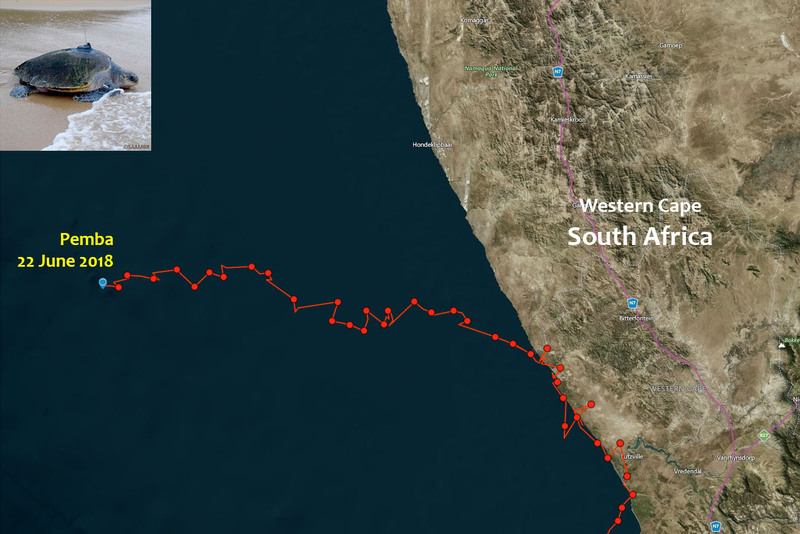 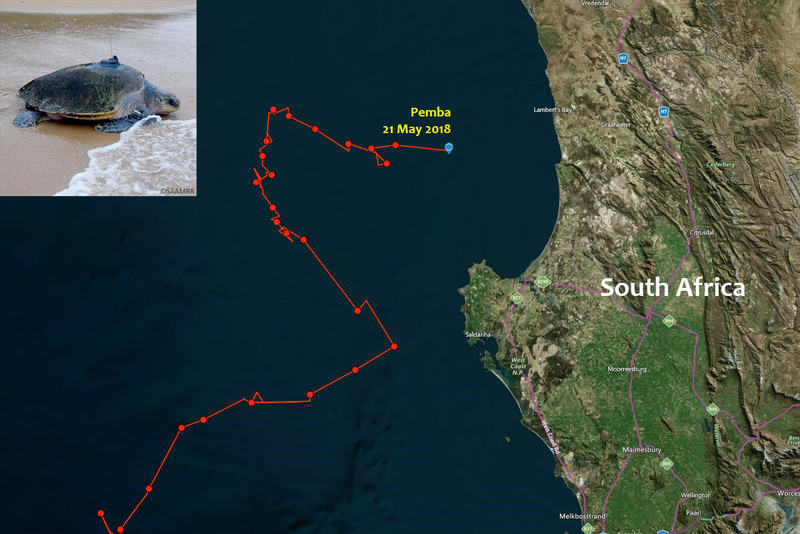 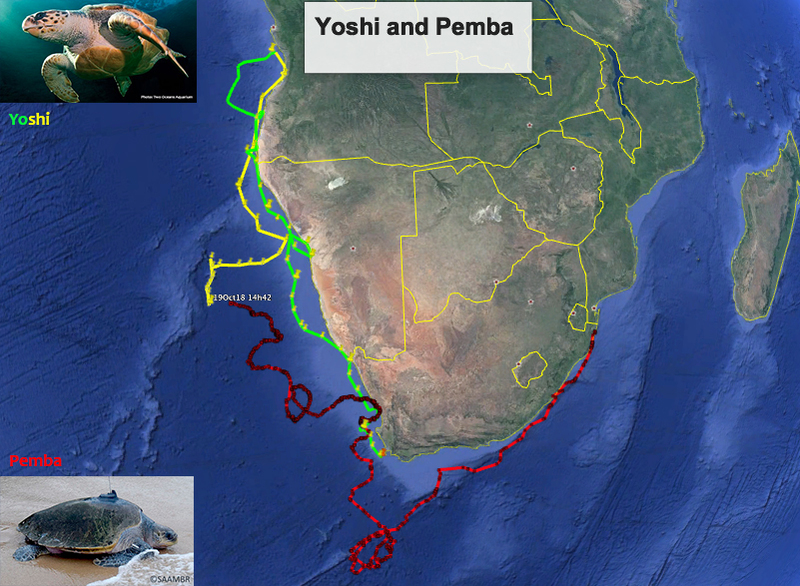 Pemba is the first Olive Ridley turtle to be satellite tagged and released off the South African coast. 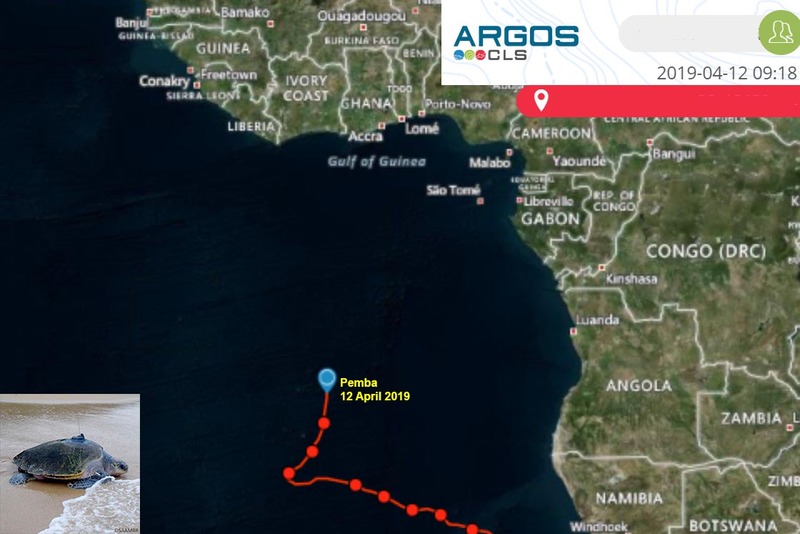 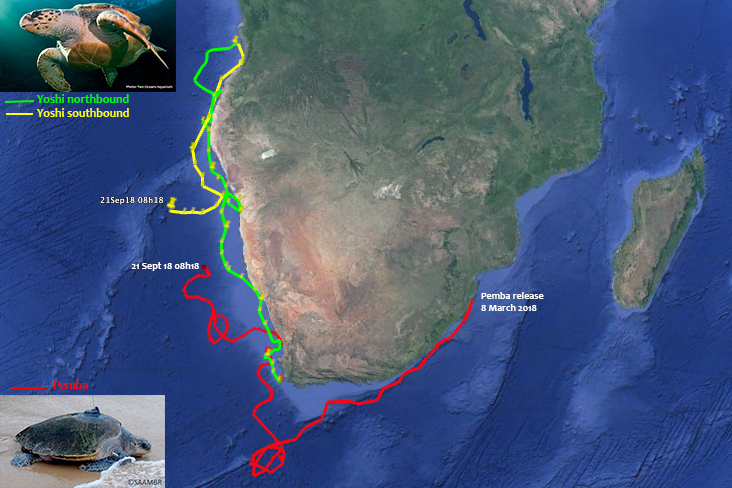 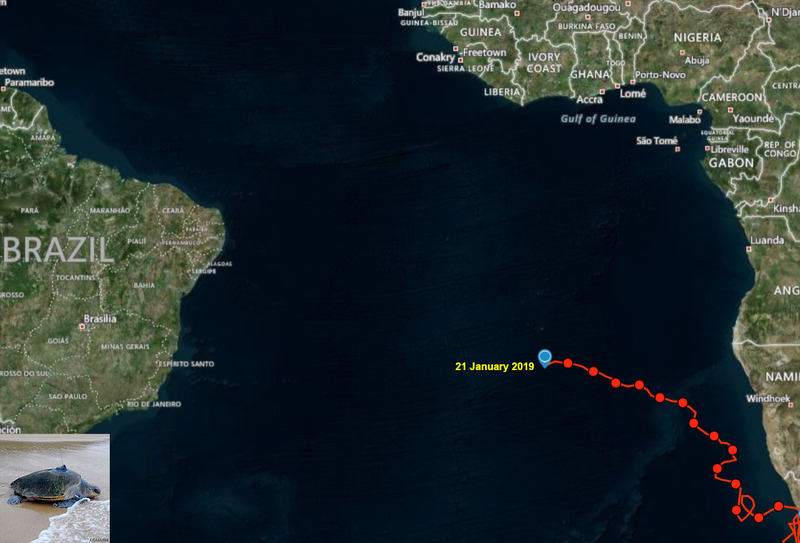 It is hoped that she will make her way up the east coast or across to Madagascar where other Olive Ridley turtles occur. 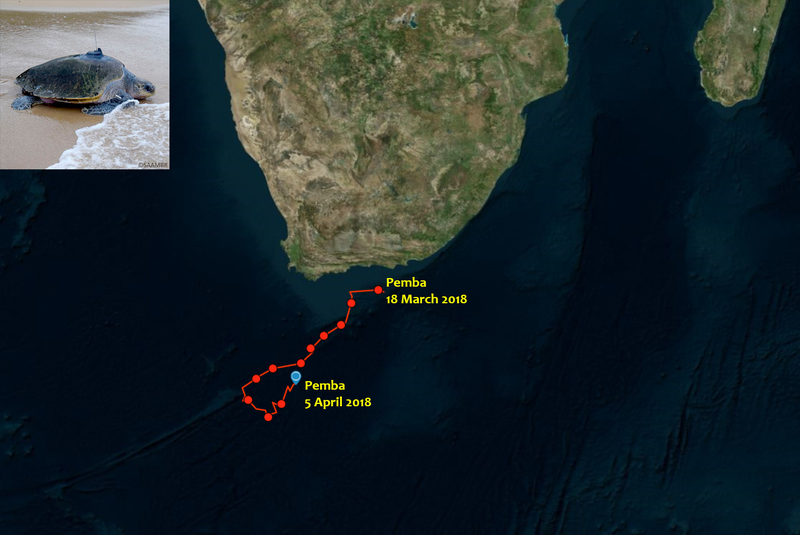 “Wherever she goes she will help us to understand more about these elusive and endangered animals. 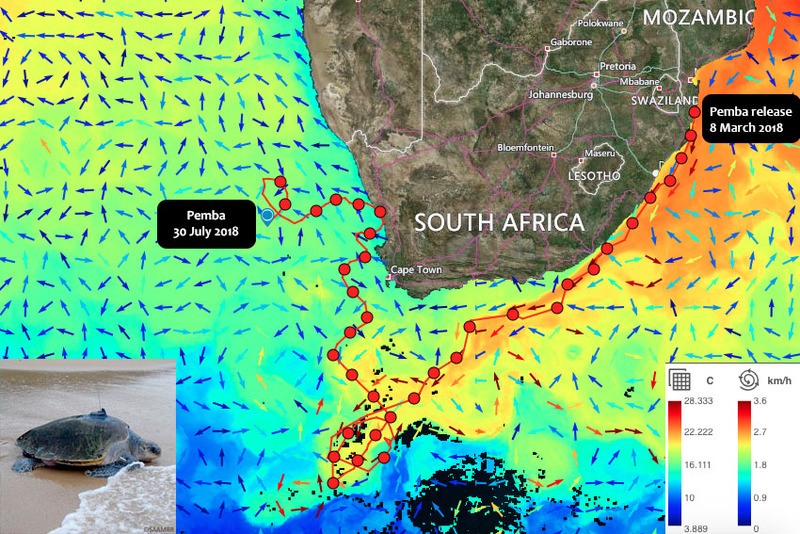 This knowledge will help us to care for them in their ocean realm. 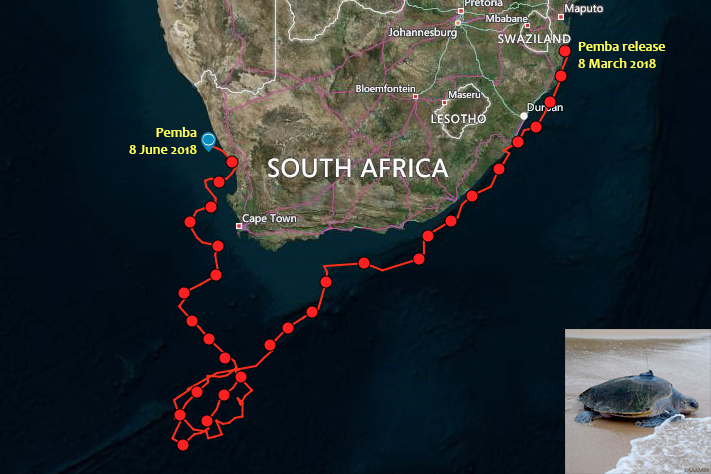 The teams at uShaka Sea World and the Two Oceans Aquarium are grateful that she has recovered so well after the many years of care and we wish Pemba a wonderful return to the ocean” said Malini Pather, senior quarantine aquarist at uShaka Sea World. 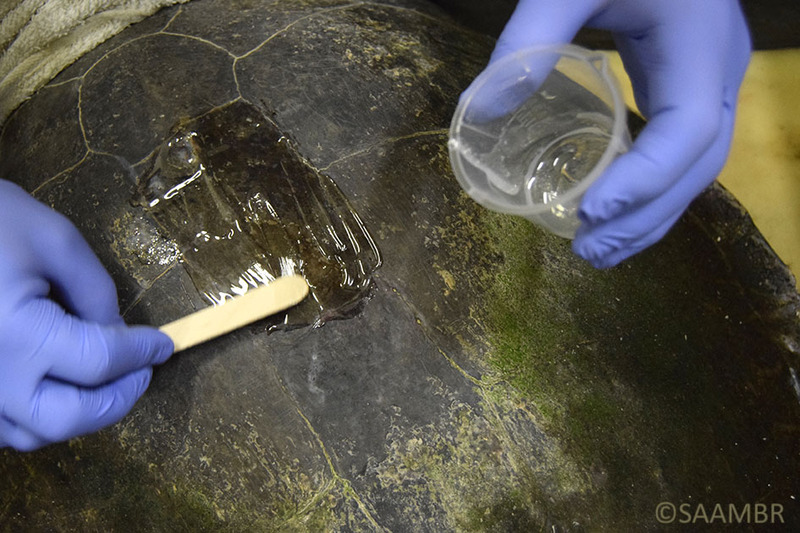 Resin is applied to a clean shell. 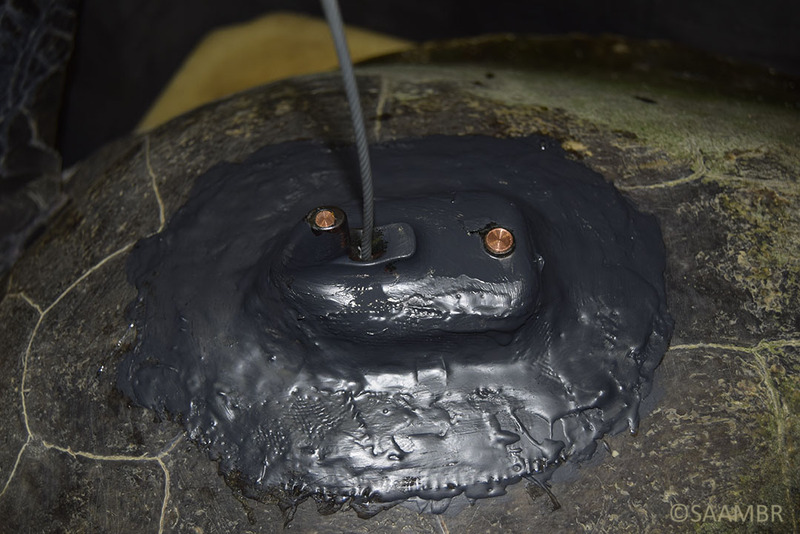 Fibreglass measured around satellite tag. 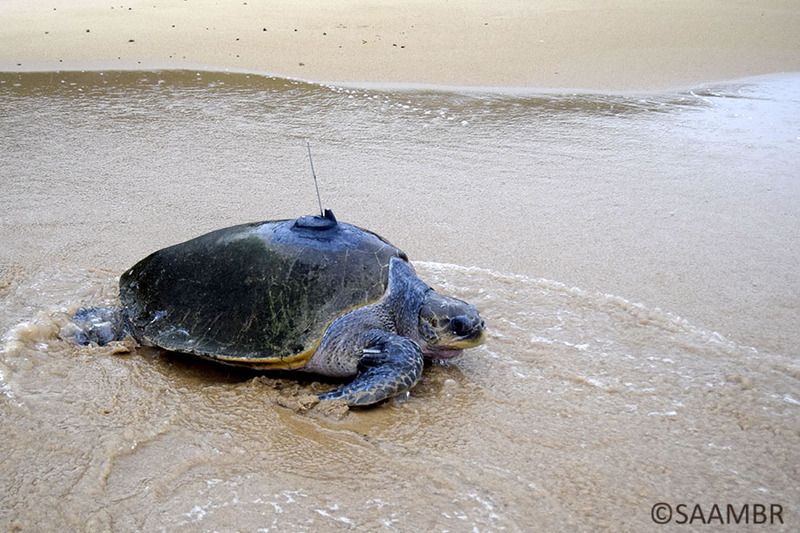 Determining the best place for the satellite tag. 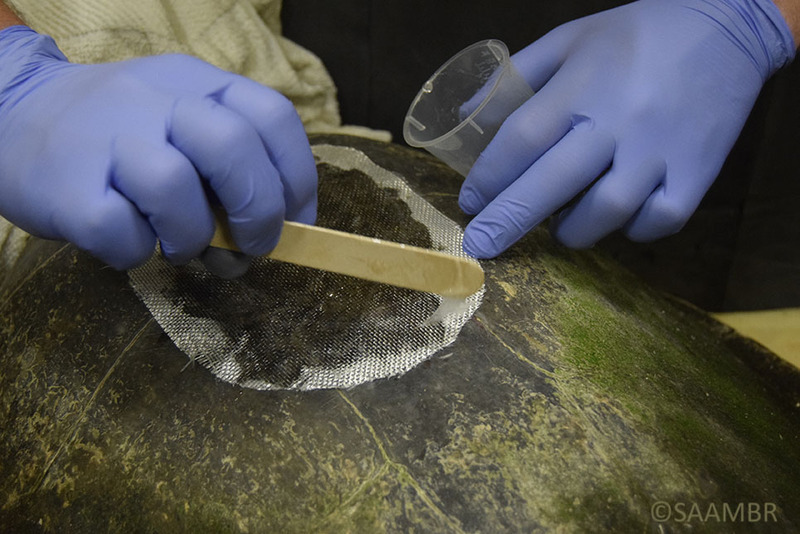 Resin coats a fibreglass layer. 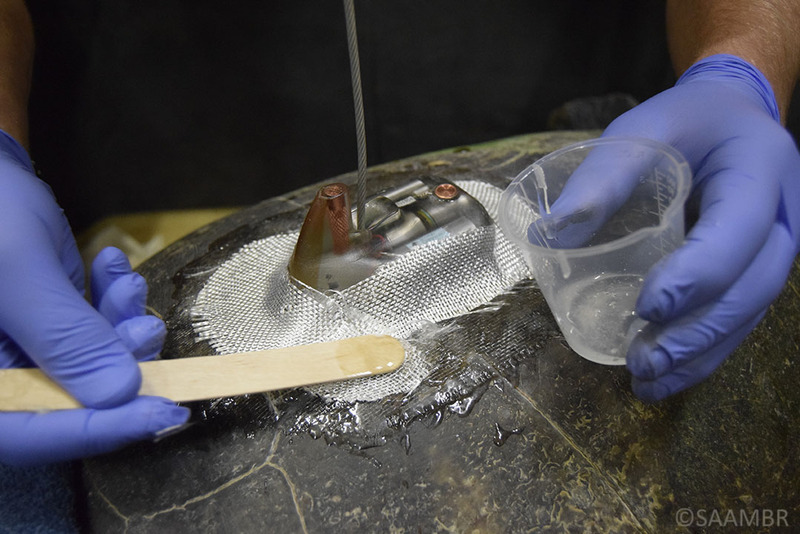 Fixing fibreglass to the shell with resin. 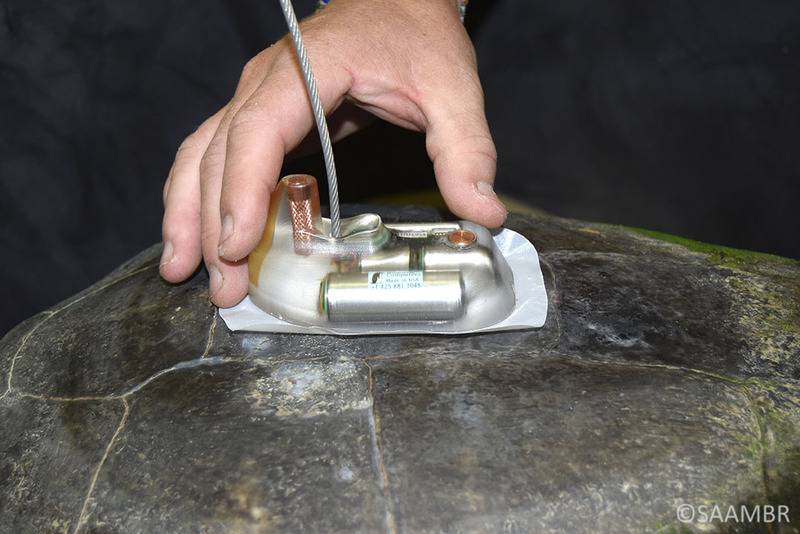 Fitting the satellite tag with putty. 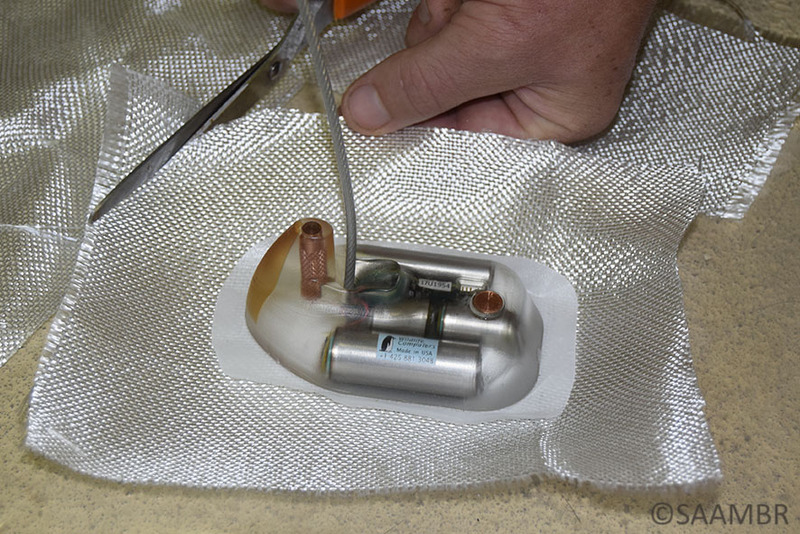 Appplying the final touches during the tag fitting. 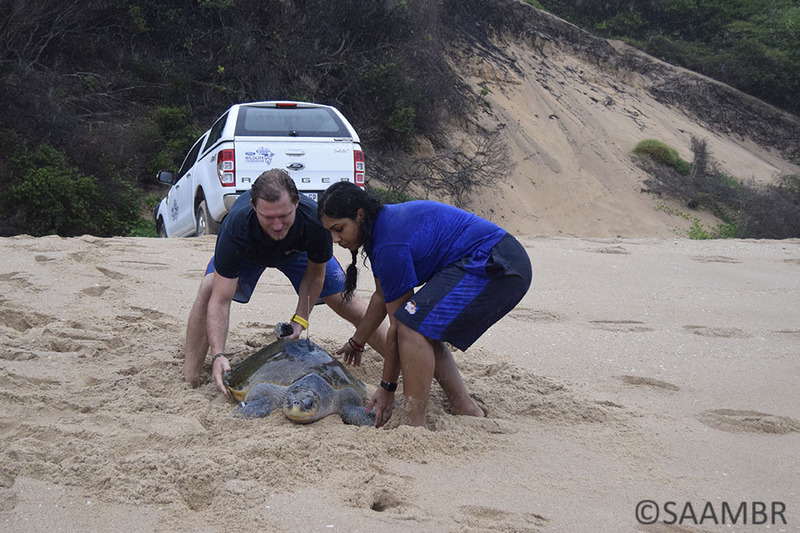 Dr Hughes tagging his first Olive Ridley turtle. 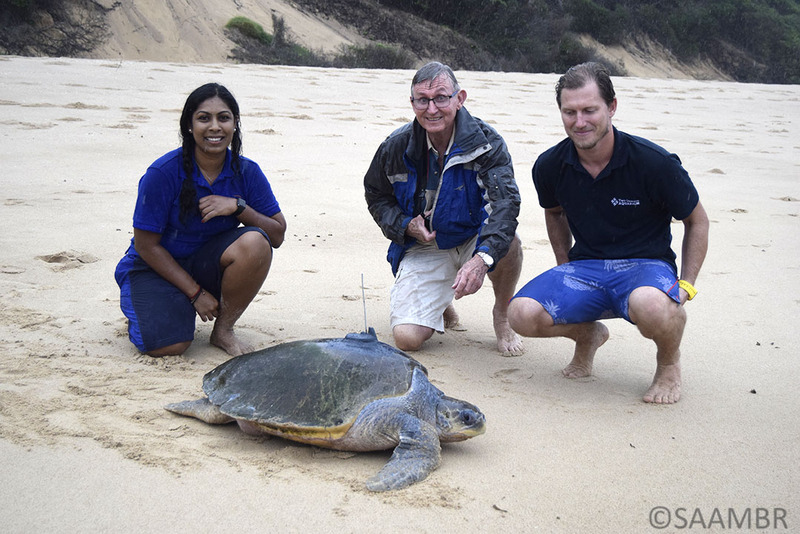 Kevin Spiby and Malini Pather guide Pemba to the water. 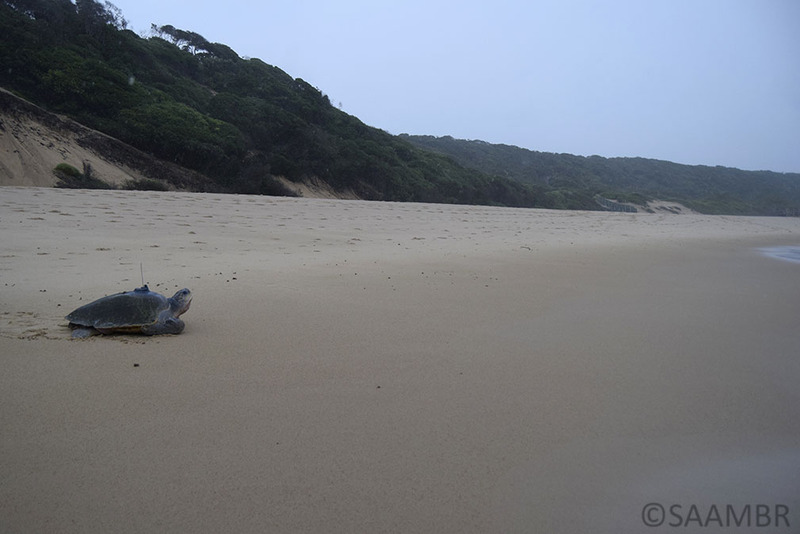 Pemba on a pristine beach. 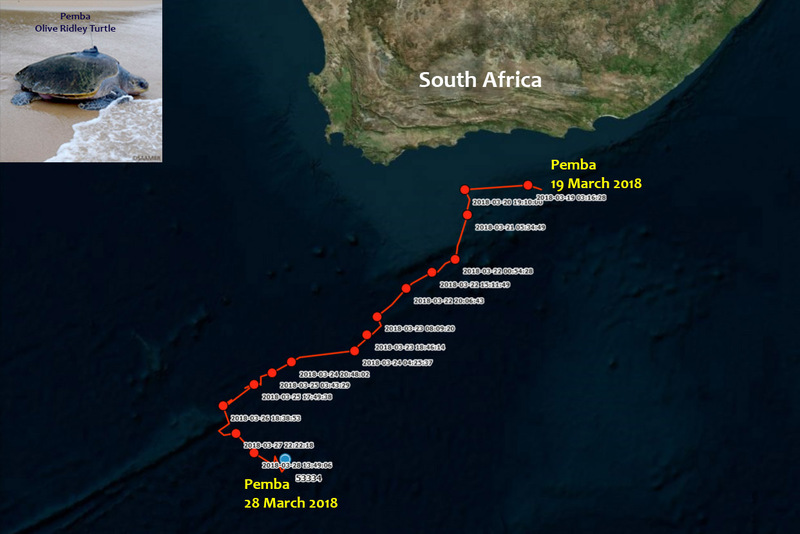 Pemba heads for the sea. 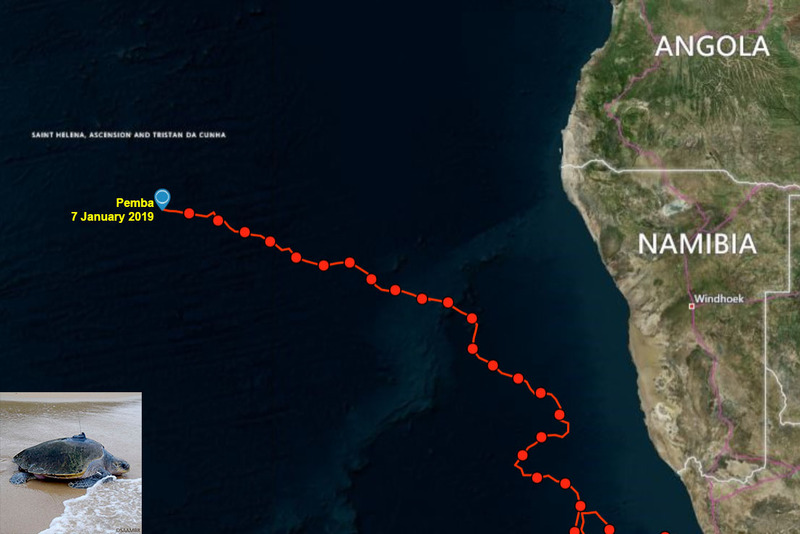 A first touch of the ocean in 4 years. 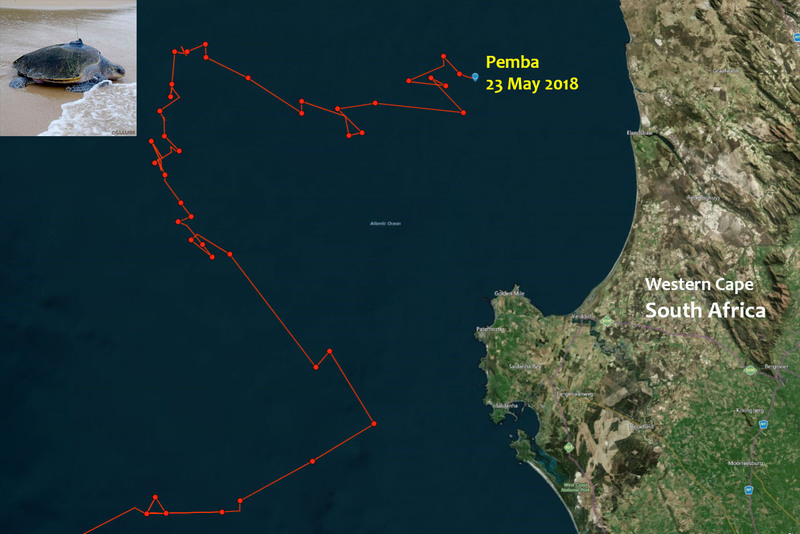 Pemba touches the waters edge. 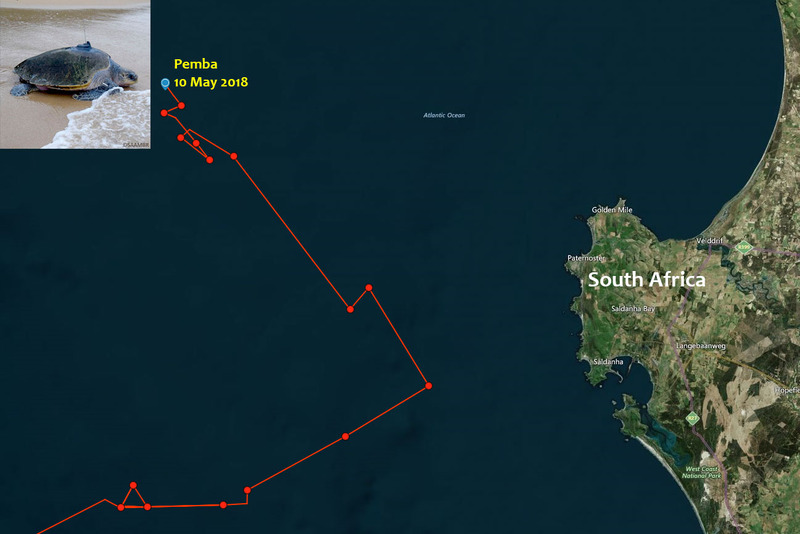 Pemba taking a breathe as she heads out to sea. 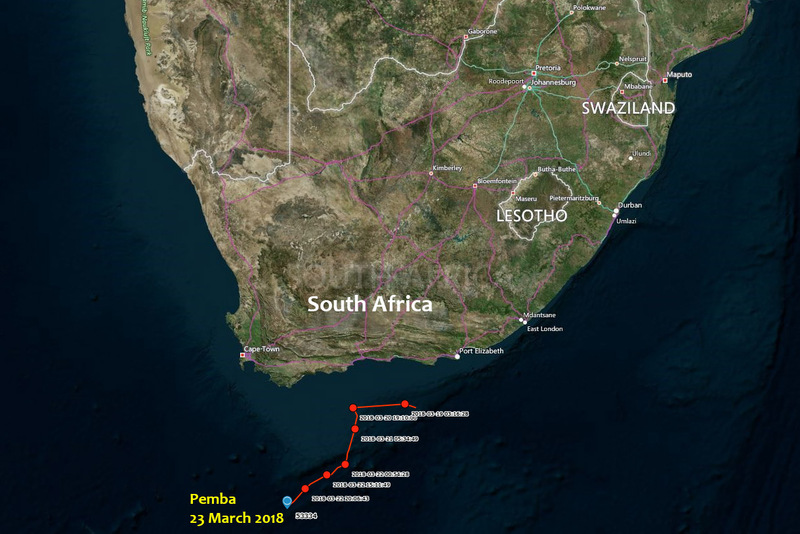 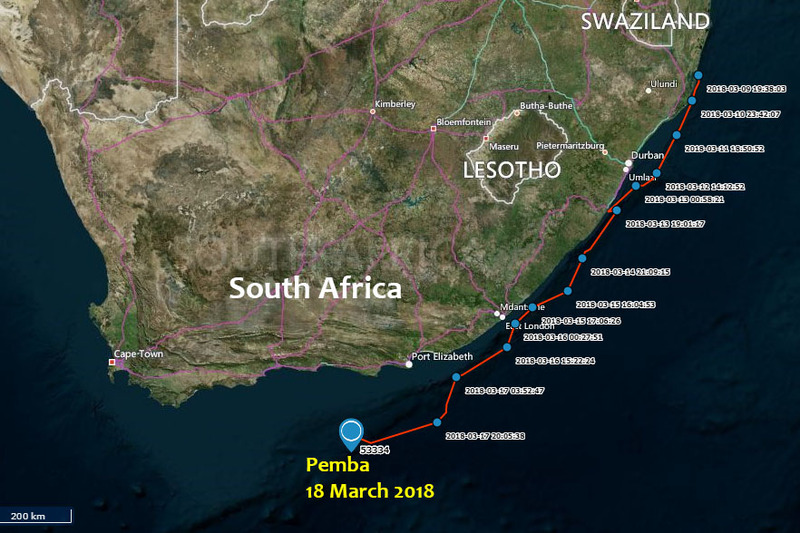 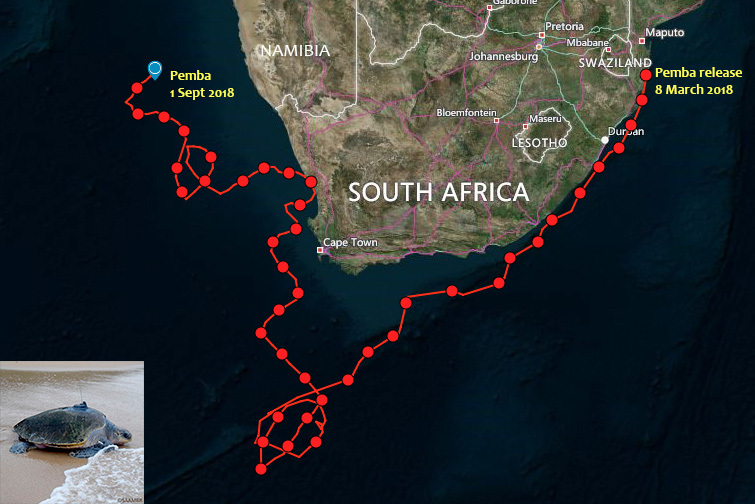 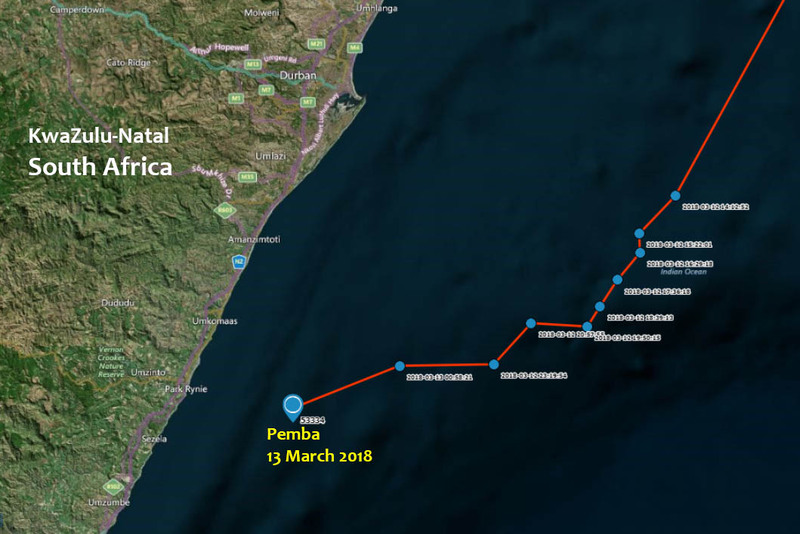 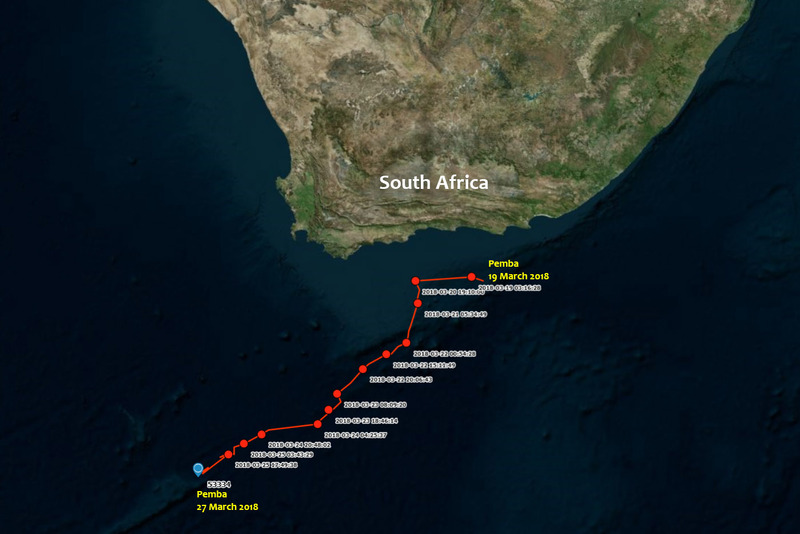 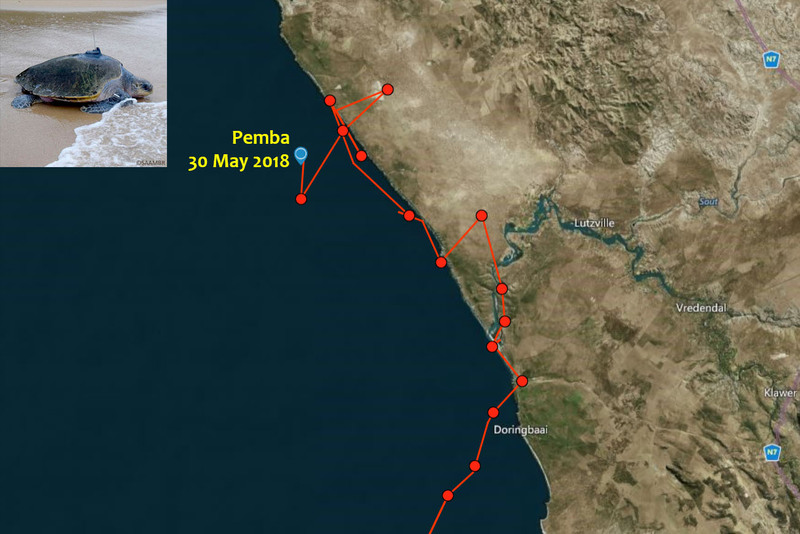 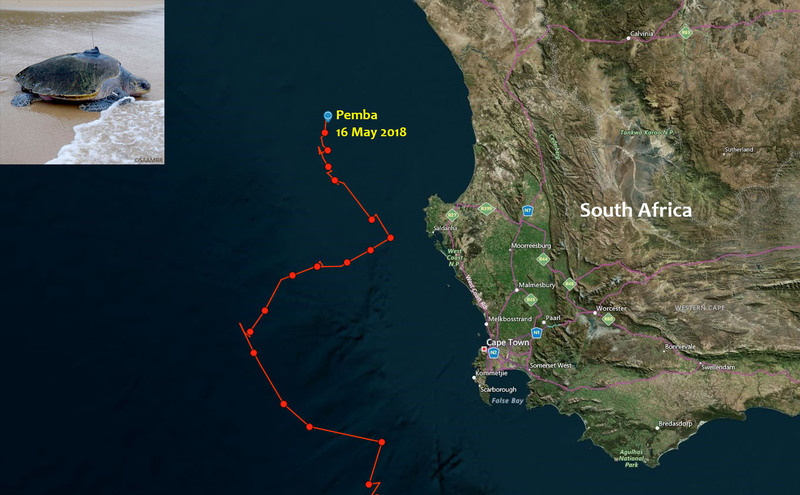 Click on the images below for the latest information on Pemba's journey.